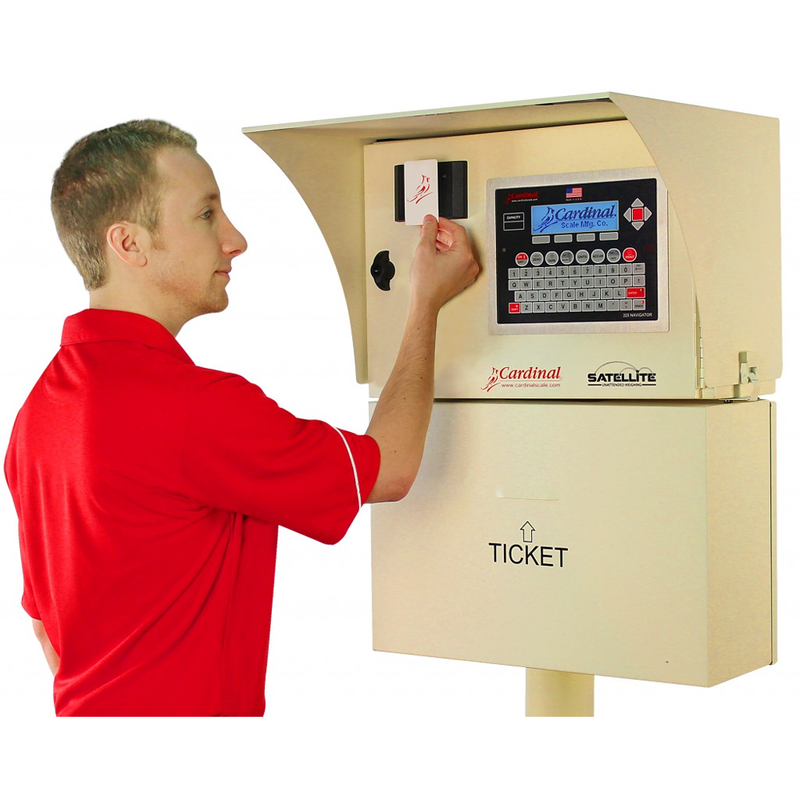 The Cardinal "Satellite" Weighbridge Terminals feature a robust, powder coated lockable enclosure with retractable arm and a high speed tally roll cut-off printer as standard. The enclosures are fully weather-proof and come with either the Cardinal 225 with full QWERTY keypad or Cardinal 825 touch screen indicator to meet all of your unmanned weighbridge requirements. 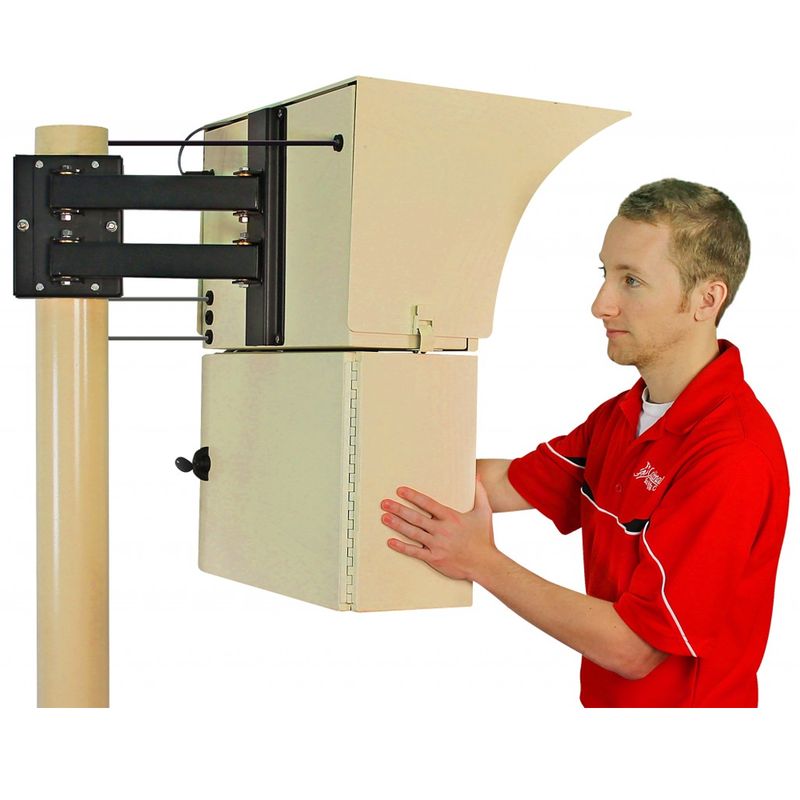 The articulating arm retracts the enclosure away from truck traffic when its not in use. Additional options include an all weather rain hood, proximity sensors, ANPR Cameras, RFID Card readers, Traffic Lights and Barrier control. Interfaces with Card Readers, Ticket Printers, ANPR Cameras, Weighbridge Software, RFID Tags, Barriers, Traffic Lights and more! The Satellite can be used as a stand alone system or can be connected to WinVRS PC software to provide a fully featured unmanned operation. Clear on-screen prompts guide the driver who can select or enter his registration, products, destination etc via the keypad, touchscreen or using a swipe card. Barriers and in ground loops are supported for traffic control as well as the SB500 remote display with traffic lights and directional control arrows. Ideal for Unmanned Weighbridges. 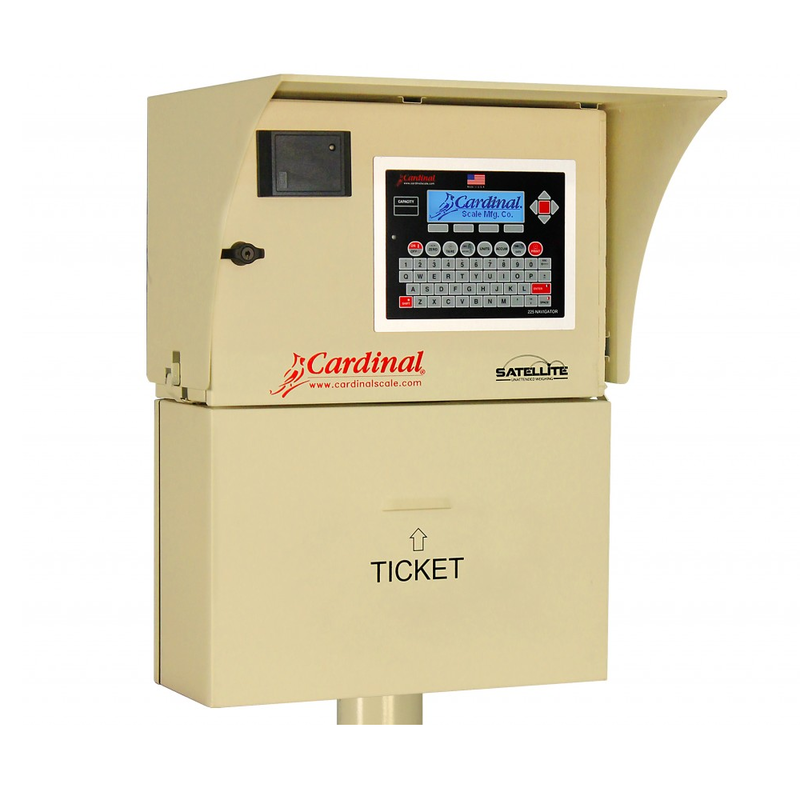 The Cardinal Satellite Driver Operated Enclosure provide a professional premium quality finish to all new or existing unmanned weighbridge systems. 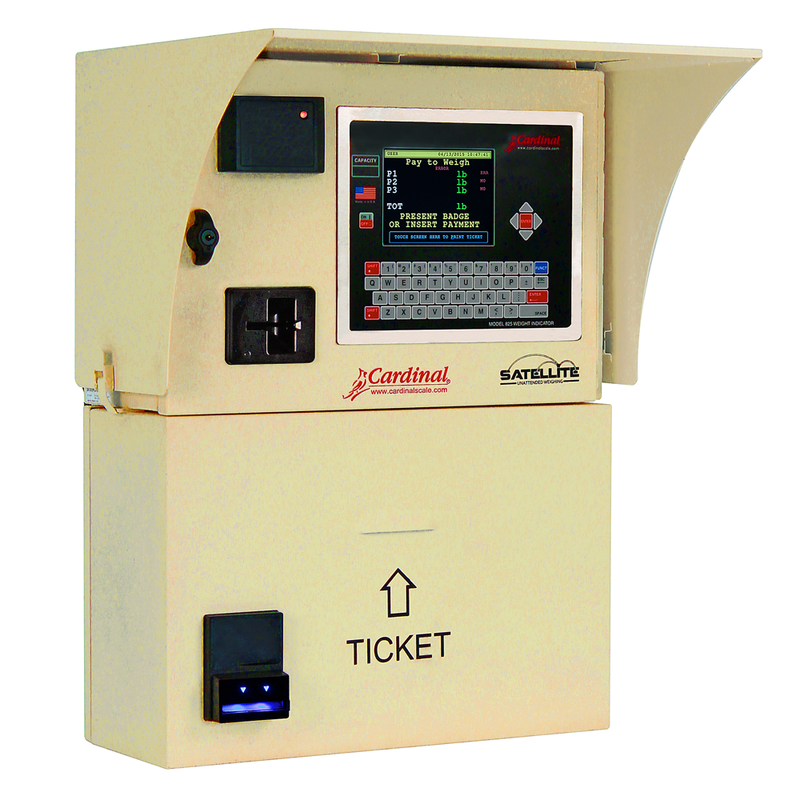 Simply connect and calibrate the weighbridge and the Cardinal Satellite is ready to go. Easy to install, easy to operate and with a professional cream powder coated finish, the ultimate solution to your unmanned weighbridge requirements. 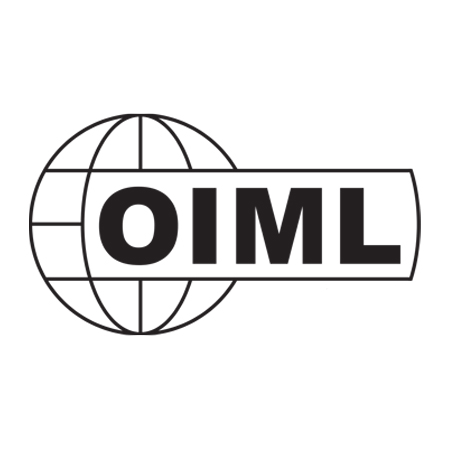 Interface with new or existing barriers, traffic lights, proximity sensors, card readers, RFID tags, ANPR Cameras and even other manufacturer's weight indicators. Power: 100 - 240 VAC / 5A max.